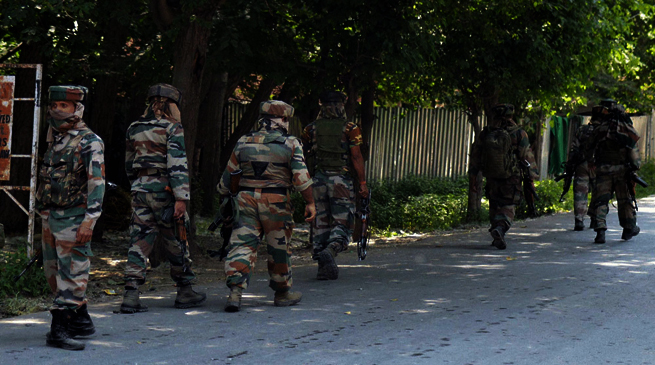 Indian Army apprehended two KLO cares in a joint search operation. Based on specific information, Army and Kokrajhar Police launched a joint search operation on Monday and apprehended two cadres of Kamtapur Liberation Organisation (KLO) from village Thuribari and village Silipota in Kokrajhar District. The apprehended cadres identified as Rahit Roy and Rupam Kumar Roy. Both apprehended individuals have been involved in extortion, recruitment of cadres as well as providing information about movement of security forces to Dibakar Barman @ Jabarjung @ Anupal who was recently neutralized by the security forces. Two Rifles, four rounds, two hand grenades and two mobile phones were recovered from the apprehended individuals.